This shop has been compensated by Collective Bias, Inc. and its advertiser. All opinions are mine alone. #FinalFourPack #CollectiveBias. Coca-Cola is a corporate champion of the NCAA. Messaging below is intended for ages 21+and is intended to be enjoyed responsibly, in moderation. Moving down to South Carolina last year, 2015 is our first NCAA® March Madness out of our home state of Connecticut. Unfortunately, our beloved Huskies did not make the men's tournament this year (go ladies! ), but, as always, we are still loving the madness. A couple of months ago, we joined a kickball team with other twenty-somethings in the area. To our surprise, the entire team was made up of people who also had moved to Charleston within the last year. Our teammates were from all over: Pennsylvania, Oregon, Virginia, Indiana, Georgia, and we all have one thing in common (besides our passion for kickball): love for our college teams. 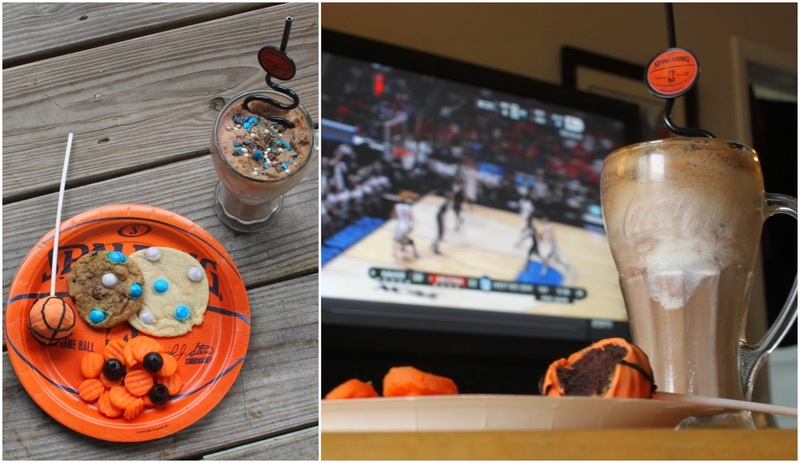 Many of their teams made it into NCAA® March Madness this year, so we decided to host a little get together for the Sweet Sixteen, featuring ice cream floats made with Coca-Cola NCAA® Final Four Pack available at Walmart at center court. 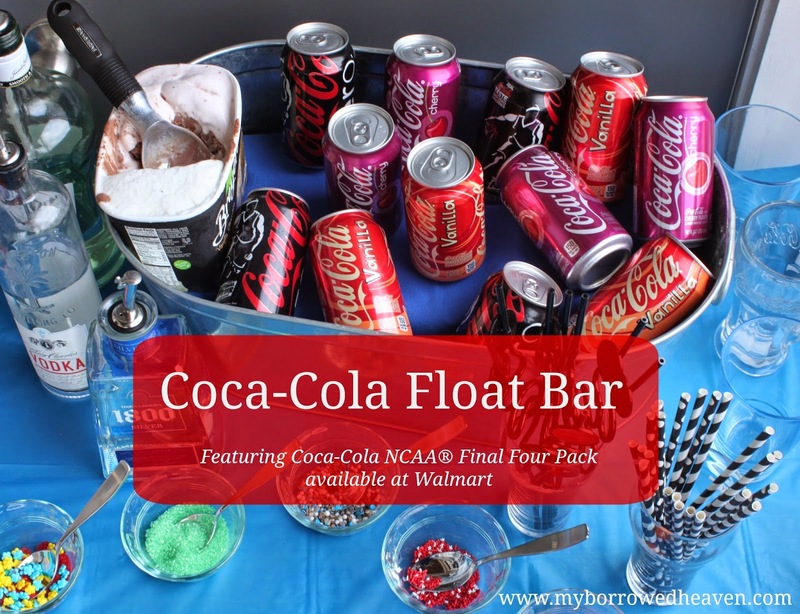 With Charleston's warm weather this time of year, a float bar was the perfect idea to keep our guests refreshed and taste test the three different flavors that are available in four packs from Walmart: Coke Zero, Cherry Coke, and Vanilla Coke. 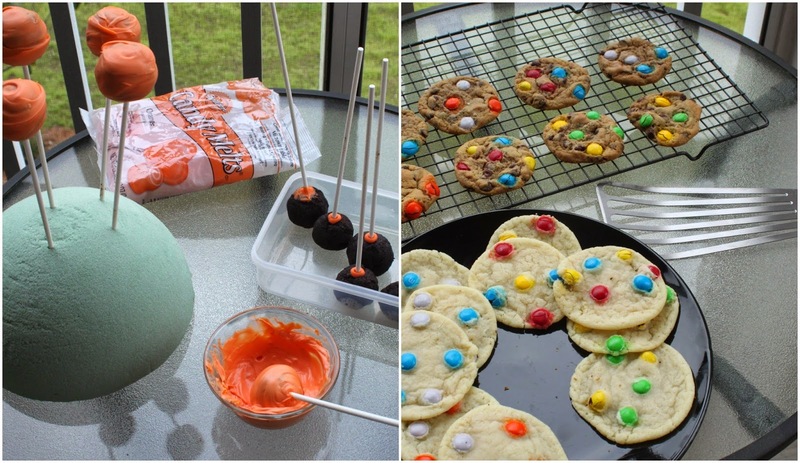 I also busted out my baking skills and made cookies with chocolate candies to match everyone's favorite teams' colors (even if most of them were already knocked out of the tourney by the Sweet Sixteen haha) and basketball brownie pops. To add a little variety, I put together a vegetable tray shaped like a basketball to round out the theme. 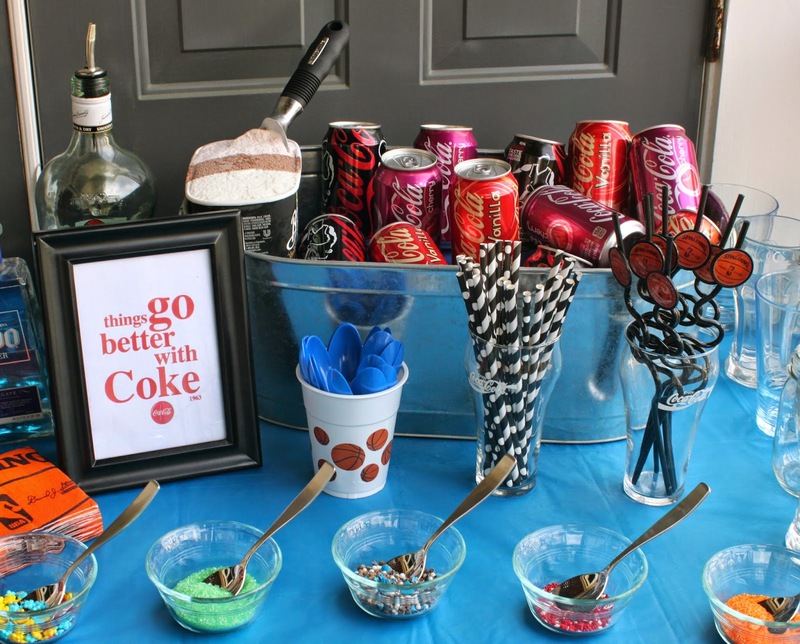 Our guests loved the floats, and if we were having our own NCAA® March Madness of Coke flavors, the winner would definitely have been Cherry Coke. I, personally, liked it mixed with chocolate ice cream and a shot of rum. 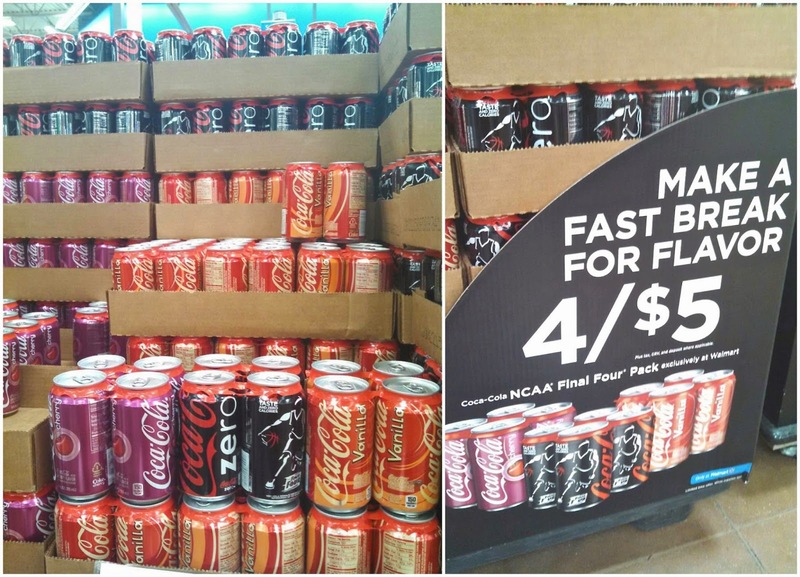 Get your paws (or wings or fins or hands or whatever you college mascot has) on your own Coca-Cola NCAA® Final Four Pack available at Walmart and host your own party for the this weekend! 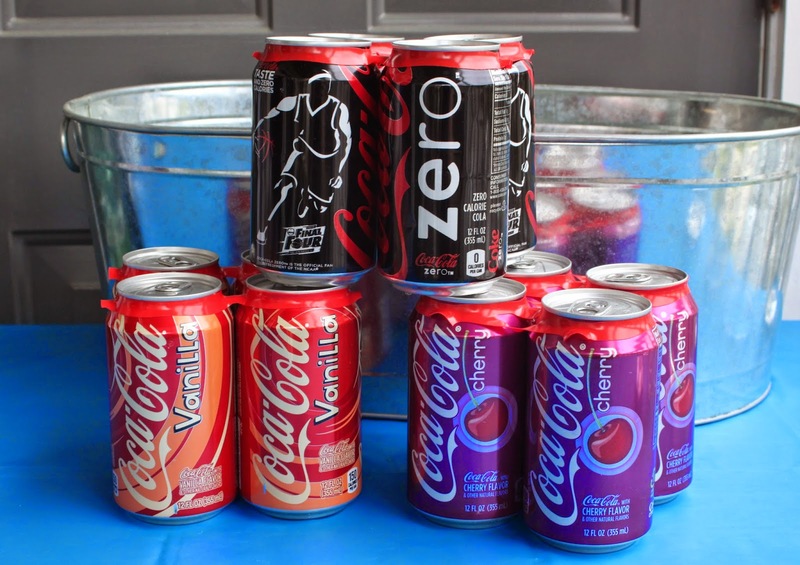 Coke Zero, Cherry Coke, and Vanilla Coke Four Packs are available for 4 for $5 or 2 for $3 in certain areas of the country at your local Walmart. You can also enter the National Coke Zero Final Four Selfie contest. Upload a selfie with a Coca-Cola product on the site below, and be entered to win 2016 NCAA Final Four tickets. Afterwards, you can go on the site and find your selfies and see all of the others! Can't get enough of @CokeZero? Check them out on Pinterest, Instagram and Facebook. There's the original, too: @CocaCola on Twitter can also be found on Pinterest, Instagram, and Facebook! Who are you rooting for during this year's NCAA® March Madness? What's your favorite Coca-Cola flavor? All those treats look so good. I'm trying not to drink much pop but vanilla coke is definitely my favorite! Okay, the coca cola bar looks amazing!! I definitely need to have one of those; how fun! Your whole setup was perfect, everything looks delicious! Everything looks amazing! I want some cake pops!! Those coke floats look like perfection! Hope you and Mike were able to enjoy them! 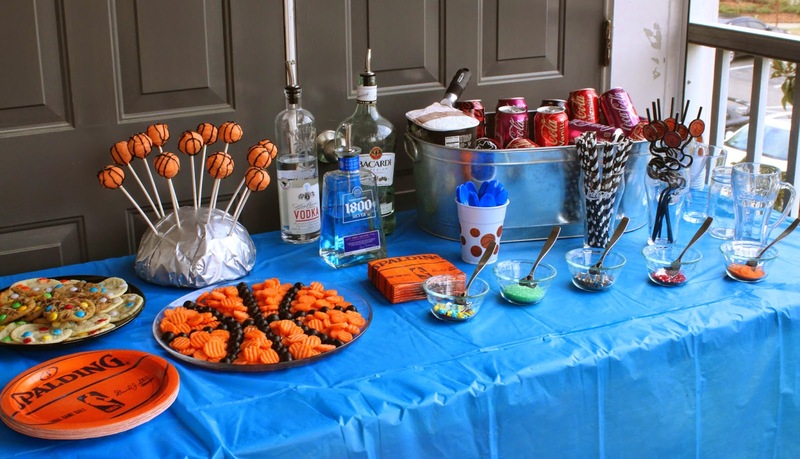 What a beautiful party spread!!! That looks like you had a great time! I haven't had a Coke in forever but you're making me want a Coke float for sure! Ice cream goes great with anything! That looks like a fun party! I'm a diet coke addict, so good! Such a great idea. The Cherry coke is my favorite. We always make Rootbeer Floats, but I will definitely have to try Cherry Coke Zero Floats, because it is my favorite soda!